A member of NATO and the EU, Romania is moving forward in its policy of strategic partnership with the USA. Not only has it made its terrain available to Washington, its first strategic partner, with the objective of building military bases there, but it is now getting ready to participate in the new anti-missile shield (editor’s note: no longer limited to Czech Republic and Poland). It also often hosts common military exercises, not only with NATO partners, but also with other countries, in line with bilateral agreements. A recent tragic news has caught attention on these military exercises, of which Romania is the stage. Indeed, on July 26th six Israeli and one Romanian soldiers died after their helicopter crashed during a training mission in the region of the Carpathians, in Fundata-Zarnesti, in the county of Brasov, 120 kilometers from Bucharest. The causes of the incident remain unclear. 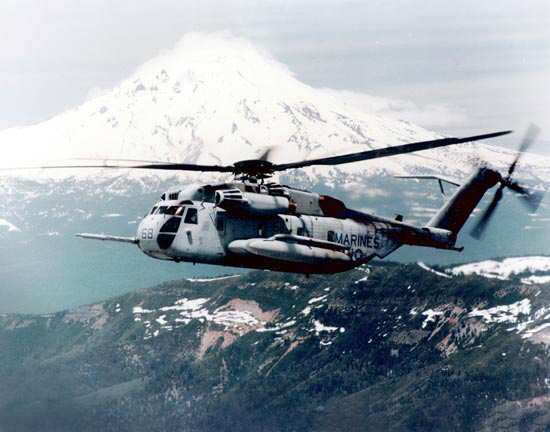 Sources close to the investigators claim that, before crashing, the “CH-53 Sikorsky” helicopter went into a cloud. A captain on board another aircraft, working in the operation named “Blue Sky”, claims this. Israeli authorities tend to exclude a possible technical failure, more keen on the hypothesis of unfavorable weather conditions or a human error. Immediately after the tragedy, the Israeli Prime Minister, Benjamin Netanyahu, stated the incident was a “disaster” and represented a “difficult day for every Israeli”. The tragedy leaked the news that the six Israeli soldiers who lost their lives were part of the special troops of the Tel Aviv Armed Forces, and that the “CH-53 Sikorsky” helicopter on which they were traveling, of American production, is also used to rescue the wounded. According to the daily newspaper “Jerusalem Post”, which dedicated an article to the tragedy, the Israeli army, Tsahal, chose Romania for its military exercises after the worsening of relations with Turkey, growing deeper last May, the day after the death of nine Turkish activists on one of the "Freedom Flotilla" ships, trying to run the Israeli blockade in the Gaza Strip. The Israeli Air Forces (IAF) are indeed looking for new countries to host their training, in Europe and Asia, after the Turkish airspace was closed to the former ally’s military flights. Along with the land, Israeli war aircrafts are also offered particular natural conditions, in Bucharest. According to military experts, as a matter of fact, there are areas in the Carpathian Mountains with characteristics similar to some regions in Iran. The Arabian press has recently stated that in June, over 60 F-16 fighter planes took off from the bases in Germany and Romania to land in Israel. According to the Amman daily newspaper, “The Jordan Times”, also quoted by the Romanian press, it is only a matter of time before Israel decides to strike Iran: 12 war ships, 10 of which American, one Israeli and one German, are apparently already in the Persian Gulf. According to these scenarios, Israel could well launch a pre-emptive strike on the Gaza Strip, prior to a military action targeting Iranian nuclear plants. While some military reconstructions, quoted by the international press, state that an attack on Iran is more and more likely, exercises continue secretly, and only tragedies such as the one in Brasov uncover details up until now unknown. There is no doubt about the existence of agreements between Israel and Romania as far as exercises go. Their details, nonetheless, remain secret. Bucharest is willing to cooperate and Tel Aviv pays to be able to train its troops in the Carpathians, as sources from the Romanian Army underline. For the moment, four out of six CH-53 helicopters have made an early return to Israel, while the other two will follow the day after the repatriation of the bodies of the soldiers who died in the incident. Meanwhile, after the tragedy, the Israeli press has stated that it is right for Tel Aviv to rely on the friendship between Israel and Romania, not only because it would find in the Republic of the Western Balkans ‘one of the most faithful allies in the EU and in Europe in general’, but also because relations with Romania are “special and strong” and – it is reminded – the Carpathian country is the only one in the Eastern European block to have never interrupted diplomatic relations with Israel since 1948. In 2004, Romanian pilots trained in Israel, while airplanes carrying the star of David have been operating in the Romanian airspace since 2006. It is no secret that Bucharest is very generous when it comes to making water, land or skies available for its allies’ military exercises. The Romanian Defense Ministry points out that military cooperation between the State of Israel and Romania is carried out within the agreement signed on May 29th, 2000, while the “Blue Sky” joint air exercise, planned as early as in 2009, has the objective of ‘jointly training the troops to fly at low altitude, in search, rescue and medical evacuation missions, without actually shooting or using real ammunition’. In the past few years, in the middle of an escalation of tension with Teheran, the Israeli Armed Forces (IAF) have relied on long-range training. According to the Romanian press, the most notable mission of this kind took place in 2008, when 100 aircrafts of the IAF flew over the Greek airspace. Israeli fighter planes used to habitually fly in the Turkish airspace also, until the recent worsening of relations between the two countries. The Romanian President, Traian Basescu, encourages this kind of military cooperation, and does not miss a chance to talk about the strategic importance of the Black Sea, of course along with the Romanian geo-strategic position. With the NATO “spy school” recently opened in Oradea, in the North-Western part of the country (editor’s note: the Humint-Human Intelligence Excellence Center – for espionage and counter-espionage of the Atlantic Alliance was inaugurated by the Romanian President Basescu, on March 17th 2010), which adds up to future commitments for the USA anti-missile shield and to the alliances with American or Israeli forces, Romania seems to have made a clear choice on a strategic level. And when and if the economic crisis strikes again, military strategies are on a roll.